I’ve been fortunate enough to stay at some of the best hotels around the world. As a luxury traveler though, I’m always on the hunt for the latest and greatest and I recently found it in Macao. Macao is home to more 5-star hotels than any other destination in the world, so one is certainly spoiled for choice when they visit. 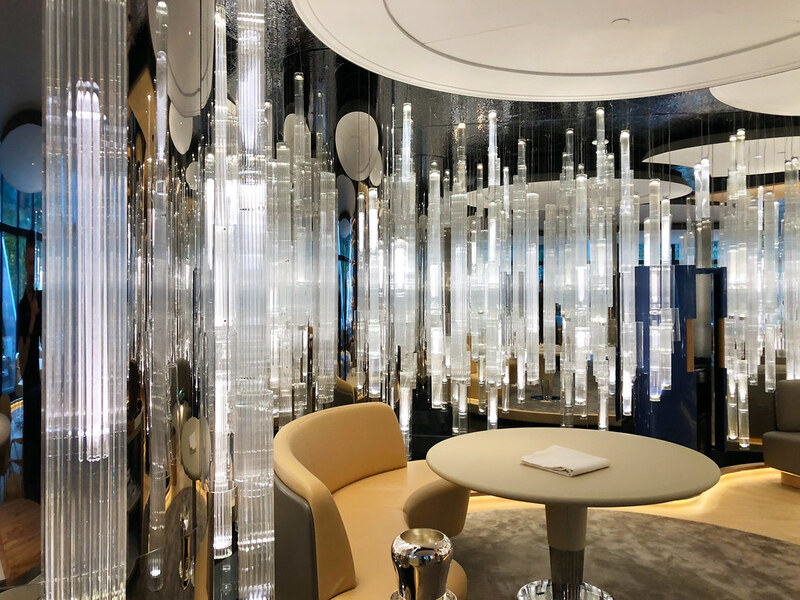 On my recent trip though I stayed at the city’s newest luxury hotel and, as I discovered, one of the best new hotels in the world – the Morpheus. I honestly didn’t expect to love the hotel as much as I did, much less consider it to be one of the best I’ve ever experienced. But thanks to their ability to execute the hospitality experience with near perfection, I was won over in every way. 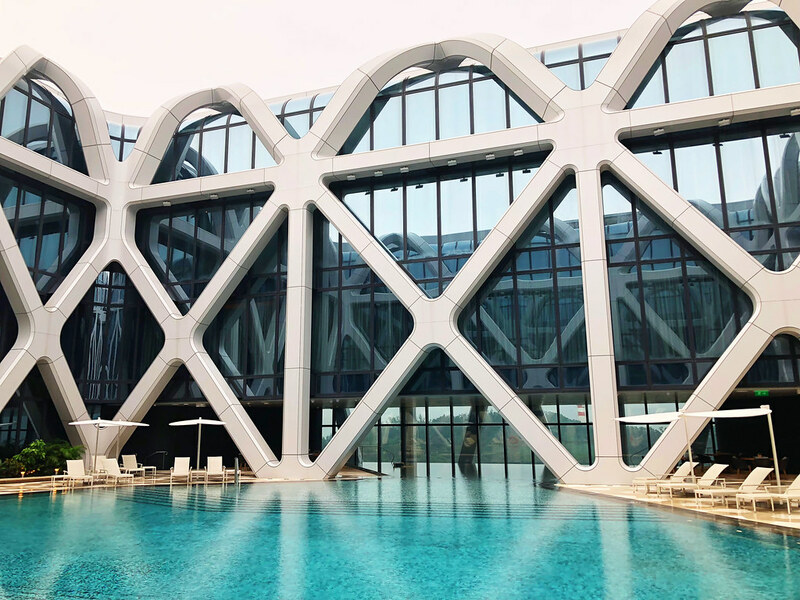 Rather than just go on and on, I want to go through the various aspects of the experience staying at the Morpheus in Macao and why I think it’s the best new hotel in the city and quite possibly the world. A couple of years ago I had the great privilege of staying at another world-class hotel, the Fogo Island Inn located in Newfoundland. There too the hospitality experience was exceptional, but it was further accentuated by a keen attention to design, style and architecture. The same is true at the Morpheus, a hotel that features some of the most extraordinary architectural details of any new building, hotel or not. Called the Queen of the Curve, the architectural masterpieces of Zaha Hadid are unmistakable and that includes this hotel – one of the last designed under her name before she passed away. Named for the god of sleep, driving up to this massive hotel I couldn’t help but gape. 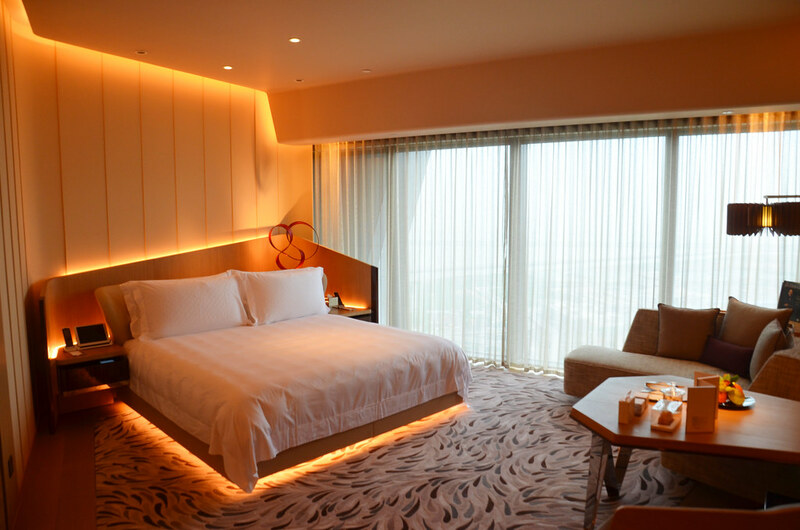 The 40-storey building is punctuated with three holes in the hotel’s twisting geometrical pattern. The Morpheus features the world’s first free-form high-rise exoskeleton and the design marvels extend inside as well, from the lobby up into the rooms themselves. There are just 770 rooms, suites and villas at the Morpheus which, while it may sound like a lot, is actually small by Macao standards. 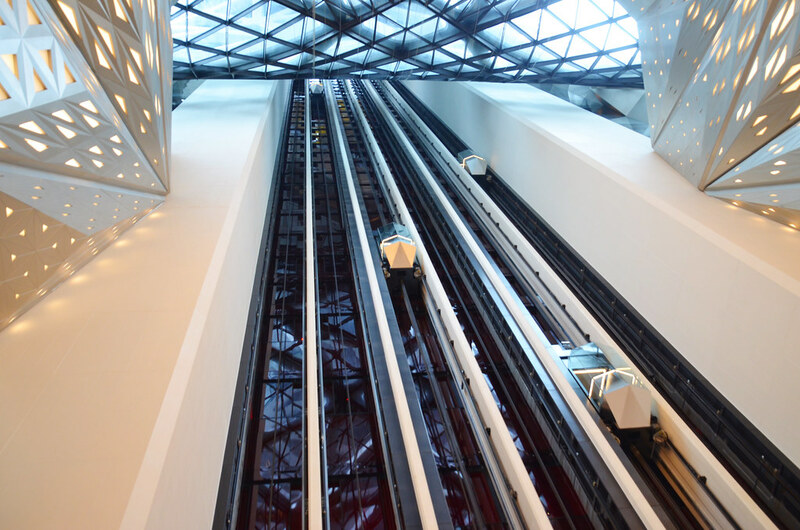 The interior of the building is connected by two link bridges and 12 high-speed elevators, making getting around the Morpheus easy and convenient. I have to combine these hospitality categories because at the Morpheus they truly go hand in hand. Escorted up to my room and introduced to the butler even before I entered my abode, this is standard treatment for all guests at the Morpheus. Once I did finally enter the room I was astounded. The spacious living quarters were perfect in every way. There was a lot of space, the furnishings and soft goods were exquisite and with enough high-tech touches I was instantly enthralled. Understanding the needs of the modern traveler, there are more than enough universal outlets and USB connections, including next to each side of the bed. Not content with just providing outlets, next to the bed are an array of charging cords to fit just about any gadget. Add in room controls via a provided iPad and this is the room of the future. Service was also just a button away and whether it was in the hotel’s lounge or a simple request of the bellman, I’ve never experienced better service. What is the most impressive fact is that this is a brand new hotel that only opened a few months ago. This level of service expertise usually takes years to attain, and yet they’re already there. That is, in short, amazing. At the end of the day this is, after all, Macao – Asia’s answer to Vegas – and so of course the food and entertainment options are robust. The Morpheus is part of a much larger facility, the City of Dreams that includes additional hotels, casinos, shops and restaurants. 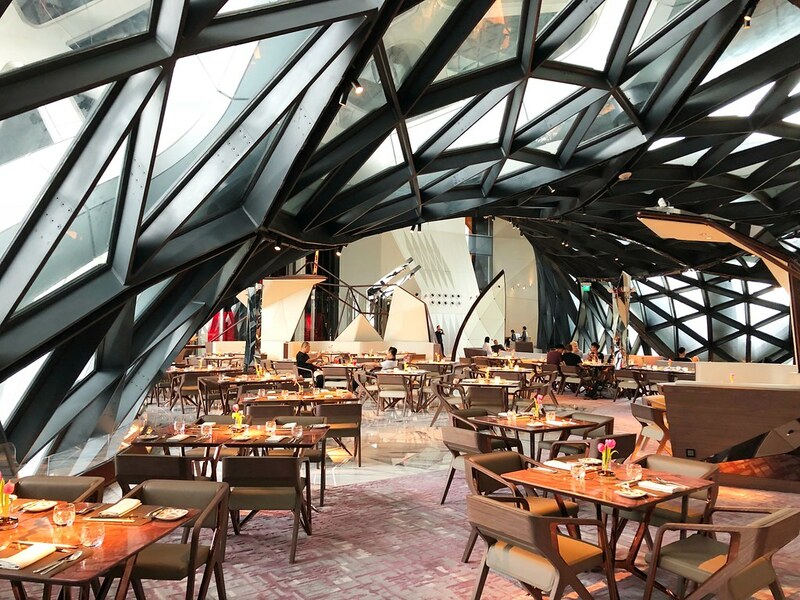 At the Morpheus itself there are a variety of fine-dining options, including concepts by acclaimed chef Alain Ducasse and Pierre Hermé. There is also a contemporary Chinese restaurant on-site, Yi that offers regional Chinese cuisine served omakase-style. One of my favorite restaurants at the City of Dreams complex though is the Michelin-star Chinese culinary masterpiece, Jade Dragon. With almost too many awards to its credit to name, I was beyond excited for a very special lunch at the restaurant, featuring some of the chef’s most famous dishes. 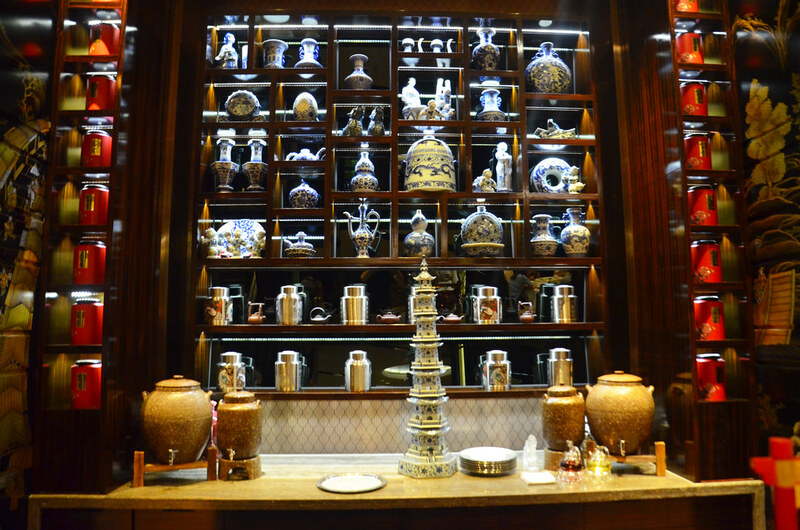 Jade Dragon showcases exquisite Cantonese specialties, but with innovative modern presentations. Everything here just works, from the gorgeous design to of course the food itself. Given the pedigrees of the restaurants on-site though, I find it very hard to go wrong with any option. Before arriving to the Morpheus, I really didn’t know what to expect and honestly, I didn’t think it would be anything special. I cannot express just how very wrong I was. Of all the amazing hotels I’ve visited, this is easily in the top two or three of the best and it’s a hospitality experience unlike anything else I’ve enjoyed. Even though the hotel is innovative in any number of ways from its design and architecture to the food and entertainment, it’s about so much more than that. It’s about an intangible quality that can’t be isolated per se, you just know it when you see it. Morpheus has this “it” factor in spades and together with those world-class finishings and outstanding service, it combines to create a luxury hotel experience unparalleled in the world.